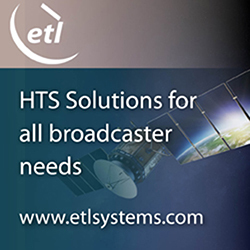 Michel Forest, Director of Engineering at Telesat, said that ThinKom’s new terminal, combined with the revolutionary value proposition of Telesat’s LEO constellation, will unlock new satellite communications market opportunities with better value economics for service providers and their customers. Easy to deploy, cost effective and agile beam antenna technology are key requirements for the company's Telesat LEO constellation, which will be able to allocate bandwidth seamlessly and instantly where it’s most needed. Live, over-the-air testing with Telesat’s Phase 1 LEO satellite will validate that the ThinKom Ka-band aero antennas, which currently operate on geostationary satellites, meet all of the Telesat LEO system requirements. Bill Milroy, Chairman and Chief Technical Officer of ThinKom Solutions, noted that ThinKom’s patented phased-array architecture provides rapid switching speeds without the drawbacks typical of electronic scanning antennas in terms of limited instantaneous bandwidth, poor low look-angle performance, high power consumption and lower aperture efficiency. The company's proven antenna technology has the versatility to support an integrated LEO constellation solution offering gap-free pole-to-pole coverage with automatic beam switching, rapid outage recovery and network optimization for different geographical regions. This means ThinKom can offer a fast-track path to commercialization of a fully interoperable, multi-orbit solution in the near term.